Choosing new technology can be a daunting task, that’s why we’ve started a New Monthly IT update to help you make the right decisions and avoid expensive mistakes. The Newsletter will feature articles with tips & tricks for buying and using IT products. We’re also kicking off a new partnership with PowerBuy. PowerBuy negotiates great cash-back deals with HP so you can buy from us at a great price and then save even more! Thank you for all you support through out the year. Best wishes for the holiday season ahead and we look forward to working with you in 2013. 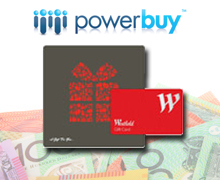 As a Christmas treat we've partnered with HP & PowerBuy to give you a Westfield Gift Card. Buy an eligible HP laptop, PC or server from us between 1/11 and 24/12 and upload your receipt to PowerBuy to collect up to $300. No tricks, no catches - just some extra Xmas cheer! The Christmas period is a notoriously busy time for hackers and this year they will be holding thousands of PCs to ransom. Find out about Ramsonware and how to secure yourself. 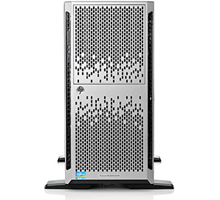 The HP ProLiant Server series is the ideal server for a business like yours. With Microsoft Windows® SBS 2011 preinstalled it is a perfect match for any business looking for great value and essential features. We have negotiated a fantastic deal on these HP servers. HP will pay you up to $500* cash-back on top of our already competitive pricing. Powered by the latest Intel® technology, The HP Pro Series Desktop PCs are stable and reliable which an absolute necessity in every business environment, big and small. 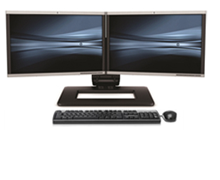 Required to perform every day, the HP Pro has proven components designed to match rigorous business PC standards. 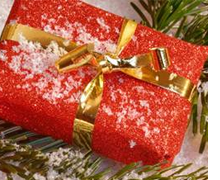 Need help filling the Christmas stocking? 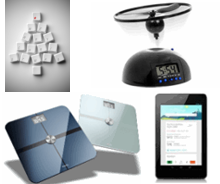 From magic wands to WiFi bathroom scales, here is a list of popular (and not so popular) techie gifts for under the tree. * Offers expire 31st December 2012. Terms and Conditions apply. See www.powerbuy.com.au for details.